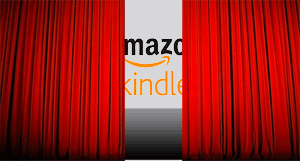 It's about time that Amazon gave potential Kindle customers a little try-before-you-buy time. Target Corporation announced today that it will carry Amazon's popular e-reader in all of its stores starting Sunday June 6. A brick-and-mortar presence is essential for the Kindle, which faces rising competitive pressure from other e-readers, including the Apple iPad, Barnes & Noble Nook, and Sony Reader. Each of these devices has had a marketing edge that the Kindle has lacked until now: a brick-and-mortar presence. The iPad, of course, is prominently displayed at the Apple Store, and the Nook gets similar front-and-center treatment at Barnes & Noble. Borders has Sony Reader kiosks, although the Sony stand in my local Borders is a dusty, lonely place tucked away in a corner. It's easy to get some quality hands-on time with Kindle's competitors. You can view the iPad's colorful display from multiple angles, browse a Sony Reader e-book, or navigate the Nook's clumsy interface. The Kindle? Well, a nifty online video isn't quite the same as holding the device in your hands. That's changing, however, now that 1,740 Target stores will carry the Kindle. The retail chain has been selling Amazon's e-reader in a few select stores in recent weeks, and now it's expanding the program nationwide. "Our guests' response to Kindle has been overwhelmingly positive," said Mark Schindele, Target senior vice president, in a statement. "We are thrilled to bring guests nationwide this incredibly light, portable, easy-to-read product that allows them to get all the news and books they want." Amazon has done just fine with its online-only sales strategy thus far. The company on numerous occasions has touted the Kindle's popularity with Amazon customers, although it has declined to supply exact sales figures for its e-reader. The Kindle is currently listed as the top-selling product in Amazon's electronics department. The e-reader market is growing more congested, and the latest devices offer prices and features that are bound to lure new users. Borders, for instance, is taking orders for the new Kobo e-reader, a $150 device slated to ship this month. (By comparison, the more sophisticated Kindle and Nook each sell for $259.) Kobo doesn't have 3G wireless or Wi-Fi, but its low price will certainly tempt buyers seeking a no-frills e-book reader.